Bronzer is a tricky product for me. Because I'm incredibly pale -- think Casper the Friendly Ghost and then go a few shades lighter -- it is extremely difficult to find a bronzer that isn't too dark or too orange-y to look even remotely natural on my skin. When e.l.f. came out with their Studio Pressed Mineral Bronzers, I was excited because it was an opportunity to try a couple of new shades without spending a ton of money on products that (likely) wouldn't work. So I picked up two of the Studio Pressed Mineral Bronzers -- Baked Peach, a slightly shimmery peachy bronze, and Tan Toffee, a matte light golden brown. The formula is similar to the Studio Pressed Mineral Blushes and Pressed Mineral Eyeshadows -- it's lightweight but still smooth enough to blend into the skin easily. 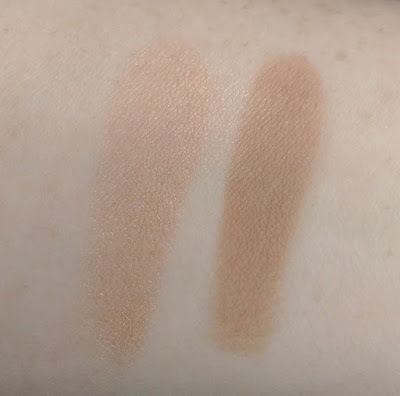 They're nicely pigmented too, and they can easily be built up even darker if you want because they have a thin consistency so they won't look cakey on the skin. Baked Peach is shimmery, so it's not ideal as an all-over bronzer but I love to use it with a brighter peach or coral blush on the cheeks for a sun-kissed glow. It's a light peachy bronze too, so if you have darker skin, it would probably make a lovely highlight. I actually love to use it as an eye shadow too -- it's so pretty on the lid! Tan Toffee is a nice option as an all-over bronzer for folks with fair or light skin. It isn't too dark and doesn't really have any orange undertones. Instead, it reads more like a golden brown so it looks pretty natural. There are two other shades in the line, though, so if you have medium or darker skin, you may want to give Beach Bronze or Caramel Cabana a try to see if they're a better fit. The bronzers retail for $5 each on the e.l.f. website, which is a pretty great deal if you ask me. 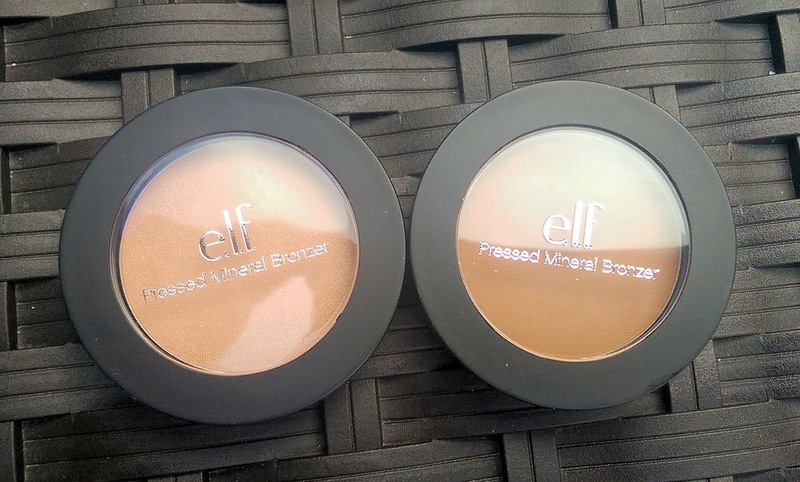 So I definitely recommend these bronzers, especially if you have fair or light skin. 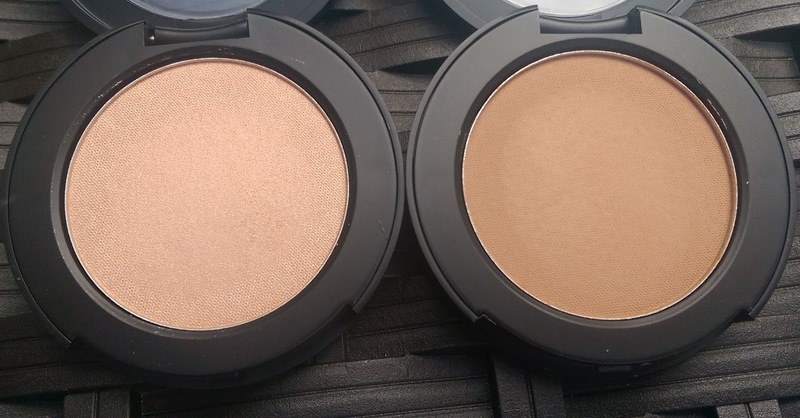 Even if you're not looking for a new bronzer, they work really well as eye shadows. 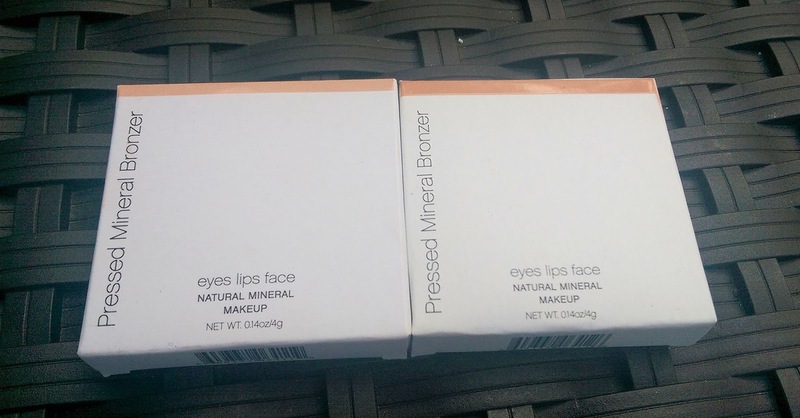 Who doesn't love multi-purpose products? Have you tried the e.l.f. Studio Pressed Mineral Bronzers? Which shade is your favorite?